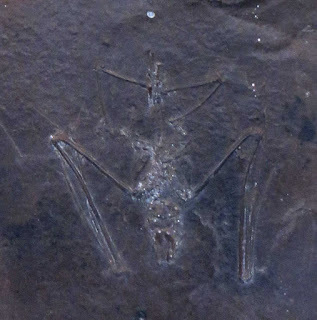 This picture is of an Archaeonycteris trigonodon (Revilliod, 1917) bat fossil. 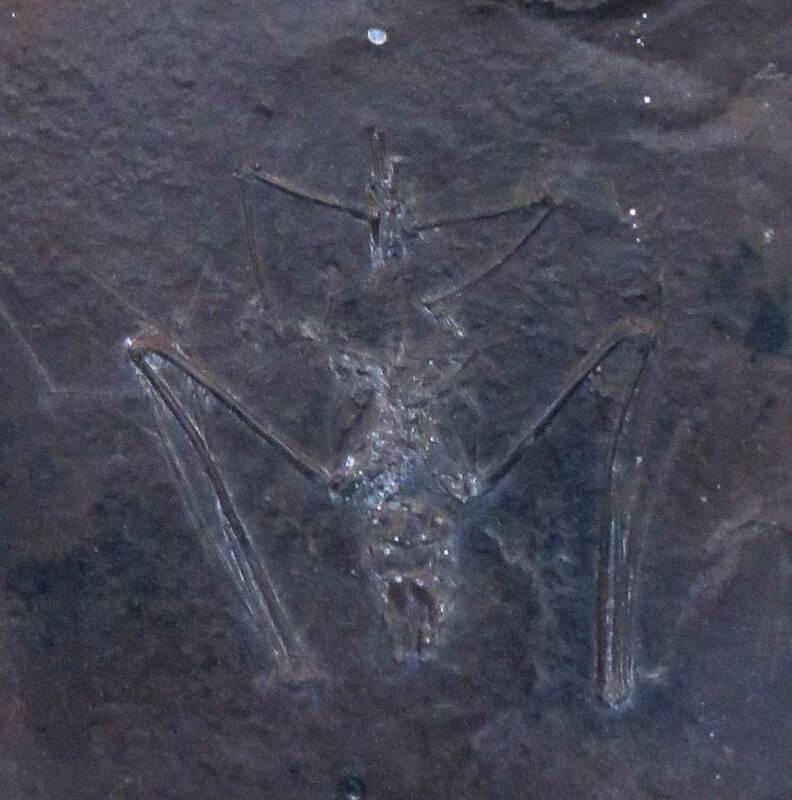 It was found in the Messel Pit of Germany. Creature existed in the Paleogene Period, Eocene Epoch (Lutetian).